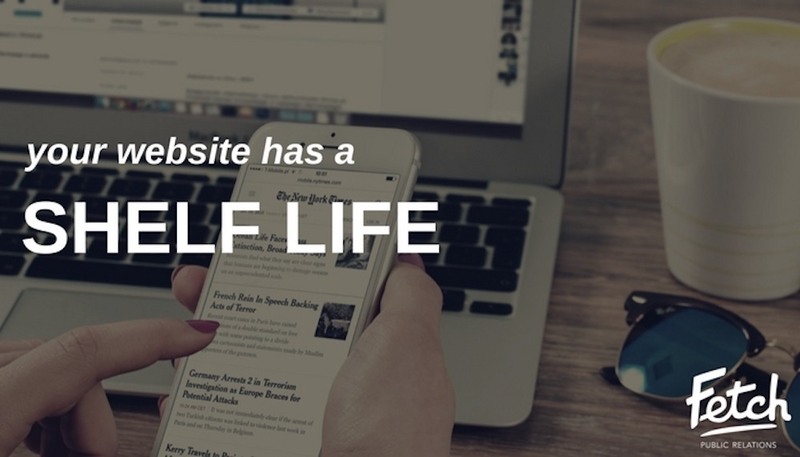 Businesses spend enormous amounts of time and money to create their website, ensuring they leave a positive and lasting impression on their audience. However, many don’t realize their efforts should continue long after clicking “publish”. Think of your website as a living, breathing plant — it continually needs water and sun if you want it to grow your brand. No matter how busy you are, keeping your website fresh and relevant should be at the top of your to-do list. Here are a few reasons why you should consistently update your website. Having your website mobile-friendly is no longer an option, it’s a necessity. In 2014, the number of people who used their smartphone to go online surpassed the number who used a desktop, and that number has been increasing ever since, according to a report by comScore. Be sure to schedule time each month to check your site’s usability across all devices: desktop, tablet and mobile. Thanks to a variety of online tools, web layout has taken a completely new approach. Developers are switching from the static and cluttered multi-page design to a sleek, single-scroll page. Not only that, there has been an upward trend in interactions between customers and brands. Many business websites have implemented live chat and app integration to enhance the user’s experience. As we have mentioned before, SEO is key to getting more visits to your website. However, if you neglect to update your site with new content, search engines will start ignoring it. Google, specifically, loves websites that update routinely. What happens is the “Googlebot” searches for websites that have new or recently updated content and adds that content to the Google index. New content means you rank higher in search engine results. The online landscape is always changing, so it’s important to prepare for new trends on the horizon and regularly updating your website. In fact, we recently updated FetchIMC.com to get with the times. Check it out and let us know what you think!